Be sure to catch House of Blues Radio Hour this weekend. Elwood Blues gives mentions and "plugs" to dozens of blues festivals around the country. Yours just might be one of the festivals he features. 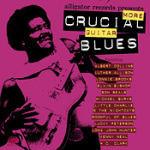 Alligator Records proudly presents three new additions to their best-selling series of Crucial Blues collections. Each of these budget priced releases contains at least 12 tracks of masterful blues from some of the best-known names in the genre, perfect for serious fans and newcomers alike. As with all Crucial Blues titles, these new editions contain no repeat tracks from any previous Alligator Records collections! First up is Crucial Rockin' Blues. Highlights include rockin' tracks from Coco Montoya, Johnny Winter, Lonnie Mack w/ Stevie Ray Vaughan, Shemekia Copeland, Roy Buchanan, Tinsley Ellis, The Holmes Brothers, Lil' Ed & The Blues Imperials, The Paladins, Guitar Shorty, Lee Rocker, and Dave Hole. Features more electrifying guitar performances by Albert Collins, Luther Allison, Lonnie Brooks, Elvin Bishop, Son Seals, Michael Burks, Little Charlie & The Nightcats, Roomful Of Blues, Lucky Peterson, Long John Hunter, Kenny Neal, and W.C. Clark. 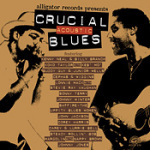 Showcases dynamic acoustic performances by Kenny Neal & Billy Branch, Koko Taylor w/ Keb' Mo', Buddy Guy & Junior Wells, Cephas & Wiggins, Lonnie Mack w/ Stevie Ray Vaughan, Sonny Terry, Johnny Winter, Saffire-The Uppity Blues Women, John Jackson, Corey Harris, Carey & Lurrie Bell, Bob Margolin w/ Nappy Brown, and Johnny Jones. 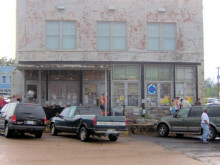 Clarksdale, MS -- "We opened our doors in May of 2001," said Bill Luckett, co-owner of Ground Zero Blues Club. "We called it Ground Zero Blues Club because Clarksdale is known internationally as the 'ground zero for the blues.' Our mission is to showcase the best of today's Delta Blues musicians, and our anniversary party will do just that." The 6th anniversary celebration is this Saturday night, May 26th starting at 8pm. It features Clarksdale's James "Super Chikan" Johnson as well as Tupelo's Homemade Jamz. Johnson is just off an international tour with actor-musician Steven Seagal, and Homemade Jamz recently placed second in the International Blues Challenge. Pre-sale tickets are $15 plus service charge/tax and available through Friday at 5pm at Cat Head Delta Blues & Folk Art, 252 Delta Avenue in Clarksdale. Tickets are $20 at the door on Saturday. Six years into it, Ground Zero Blues Club now boasts live blues shows from Wednesday through Saturday night each week as well as occasional special events. In the past, the club has hosted literally dozens of live TV, radio, film, DVD and CD recording sessions -- from Bobby Rush to Jerry Lee Lewis, from Watermelon Slim to Big George Brock. It has also been named to the coveted "Top 100 Bars and Nightclubs in America" list for two years running. The club has been featured on CBS' 60 Minutes, Turner South, The Food Network, The Travel Channel and The Discovery Channel. 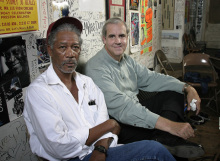 Located at 0 Blues Alley near the Delta Blues Museum in historic downtown Clarksdale, Ground Zero Blues Club is co-owned by local attorney/businessman Luckett, Academy Award-winning actor Morgan Freeman and Memphis entertainment executive Howard Stovall. Thanks to all our readers who signed the petition and called their congressman. Well done! Internet Radio is safe, at least for a few more years, from the bureaucrats who almost eliminated small and start-up webcasters. Genres like Blues would have been be especially hurt had efforts to raise royalty fees succeeded. Don't get me wrong, I'm all for making sure artists are compensated. But SoundExchange hadn't looked at the big picture. Not sure if they are seeing it now, but at least we have a couple more years before we have to fight the good fight again. Following is a portion of the press release announcing the "offer" made by SoundExchange. SoundExchange is the non-profit organized charged with the task of collecting and distributing royalty fees for music broadcast digitally (i.e. over the internet, or via satellite). (May 22, 2007) SoundExchange offered to extend to small webcasters through 2010 the terms of prior legislation known as the Small Webcaster Settlement Act (SWSA) with some minor modifications. The 2002 act that sunset in 2005 had set temporary below-market royalty rates for small Internet radio stations in order to provide them additional time to build their businesses. SoundExchange's offer to extend the core SWSA terms represents a continued subsidy for these small webcasters in the form of lower payments to artists and content owners. "Although the rates revised by the Copyright Royalty Board (CRB) are fair and based on the value of music in the marketplace, there's a sense in the music community and in Congress that small webcasters need more time to develop their businesses," said John Simson, Executive Director of SoundExchange. "Artists and labels are offering a below-market rate to subsidize small webcasters because Congress has made it clear that this is a policy it desires to advance, at least for the next few years. We look at it as artists and labels doing their part to help small operators get a stronger foothold." This offer is only for small webcasters and defers the new rates set by the CRB on May 1, 2007, retroactive to January 1, 2006 and effective through 2010. While the subsidy is an effort by SoundExchange to address alleged weaknesses of the small webcasters' businesses, SoundExchange noted that this proposal is an adjunct to the CRB process. As suggested by the Subcommittee, SoundExchange is proposing that the subsidy be based on a percentage of revenue model and is proposing the same rates that prevailed under SWSA: small webcasters would pay royalty fees of 10 percent of all gross revenue up to $250,000, and 12 percent for all gross revenue above that amount. The proposal includes both a revenue cap and a usage cap to ensure that this subsidy is used only by webcasters of a certain size who are forming or strengthening their business. "These modest limitations assure that the subsidy is targeted only to those webcasters that Congress believes need the additional financial flexibility to build their businesses. When a company's revenue or listenership reaches a certain level, our proposal appropriately provides that they share those full gains with the artists who helped create this opportunity for them," said Huppe. "The net result of this proposal is that small webcasters would be guaranteed no increase in royalty payments for 13 years, from 1998- 2010." In order for the process to work, small webcasters need to register with the copyright office, comply with all reporting requirements to SoundExchange and not avoid paying royalties that are lawfully owed. "The artists and labels are acting in good faith today, giving small webcasters a break. In return they expect the integrity of their music and their copyrights to be respected. That includes proper tracking and reporting of how their music is used, and that they are properly compensated," said Simson. For the first time in the festival�s substantial history, Friday will offer a full day of music and events: three days, three nights, and three Main Stages full of fun and music. Brian Wilson (of the Beach Boys), soul diva Erykah Badu, conscious hip-hop revolutionaries The Roots, Rickie Lee Jones, New Orleans Social Club (featuring Ivan Neville and the legendary Leo Nocentelli among others), and the cream of the jam band and acoustic world, including moe., Umphrey�s McGee, the Waybacks, Hot Buttered Rum, Animal Liberation Orchestra, the Mike Stern Allstars (featuring Victor Wooten of the Flecktones and Dennis Chambers along with Miles Davis guitarist Stern), Vernon Bush, New Monsoon, Common, and Sound Tribe Sector 9 lead the musical entertainment. This year�s Festival theme is �Promoting Global Cooling.� Every conscious person is aware of the current planetary crisis, and forums, speakers, and exhibits will provide much valuable information; but the theme has a double meaning as it seeks to present an alternative, calmer worldview that seeks to cool down the currently over-heated and divisive partisan atmosphere in which these matters are being considered. 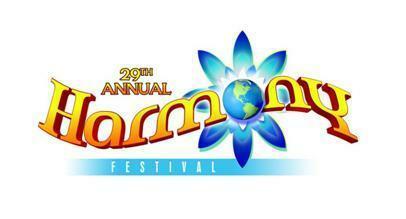 Harmony means many things here, in musical, political, and spiritual terms, and the Festival is a holistic gathering that presents the most compelling advances in personal and social transformation, health, healing, ecology, art, activism, food, politics � in fact, the whole life package. It is a Party with a Purpose. June 22, 2007 the Delta State University in Jackson MS will have a bus lecture session stop at the Alamo Theater, 333 Farish Street. This is a traveling college course titled "From the Birth Place of American Music: Music and Musicians of Mississippi" by Dr. Luther Brown. The Alamo Theater Session is below. 1:30pm Judith Still talks about Grant Still's work. Ms. Still is the daughter of classical composer Grant Still who was born in Woodville. Farish Street is where Robert Johnson, Tommy Johnson, Sam Myers, BB King, Little Milton and others were found or played early in their carrer. The Alamo Theater is one of the last dual theaters in the US. Dorothy Moore won talent shows at the Alamo Theater when she was a girl singing blues for adults that filled the theater. It was the historic movie/performance theater for Africian Americans in Central MS.
Sam Myers, BB King, Dorothy Moore and Sonny Boy Williamson II (recorded for Trumpet Records of Farish Street) have markers on the street in the 300 block. Robert Johnson was found by HC Speir in the 100 block when Speir recorded a demo for Paramount Records. Without HC Speir we might not have heard many blues musicians who are no longer with us. LOS ANGELES (CelebrityAccess MediaWire) -- After capturing lightning in a bottle, American Idol producers are hoping to pull off a repeat. 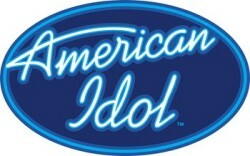 According to Variety, the producers of "Idol" have signed on with Fox to do a new show provisionally called "The Search For The Next American Band." The show won't stray far from Idol's successful format -- starting with an audition phase during which bands of all formats will have a chance to vie for one of 10 semifinalist slots. Viewers will then determine which band will proceed to the next round until a winner is chosen. The first four episodes of "The Blues" Radio Series hosted by Keb' Mo are now available on The Blues Foundation's website, or Click Here. The series will be permanently located there. The series was produced by the Experience Music Project and Ben Manilla Productions for the presenting station WGBH in Boston with major support coming from Volkswagen. This 13-part series was created as part of the Year of the Blues and provides a wonderful history of the Blues with both music and incredible narrative and interviews. 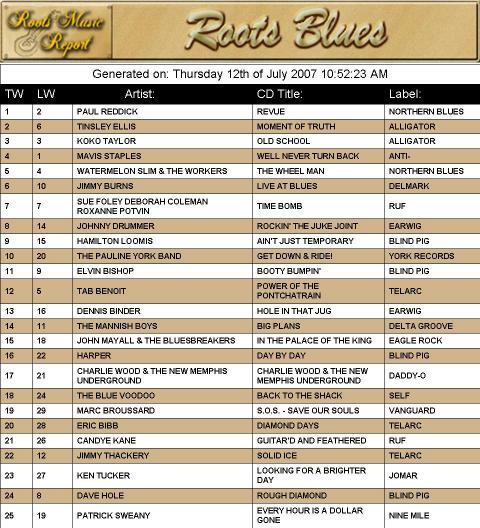 Episode 1: "The Birth of the Blues"
Episode 2: "Goin' Up the Country"
Episode 3: "Tain't Nobody's Business If I Do"
Episode 4: "Standin' at the Crossroads"
Jack Bruce says Cream is once again rising to the top. The bassist for the legendary rock group told The Associated Press that he agreed recently to play an unspecified show or shows later this year with guitarist Eric Clapton and drummer Ginger Baker. Bruce recently told the Scotsman newspaper there was no chance the band would reunite because of long-standing tension between him and Baker. Then, the next day, it came up we're doing something if I wanted to. Obviously, I'm not going to be the one to say no" Bruce said. Representatives for Clapton and Baker have not confirmed the reunion. Infighting and ego clashes between Baker and Bruce go back decades, with Baker once firing his drum sticks at Bruce during a show and Bruce upending Baker's drum kit. Clapton persuaded Bruce and Baker to reunite in 2005 after a 37-year split. But the ill will resurfaced, with Baker accusing Bruce of turning up his bass to deafening levels during a Madison Square Garden show, and Clapton appeared uncomfortable on stage. However, Bruce played those 2005 shows about a year after receiving a liver transplant that kept him alive. 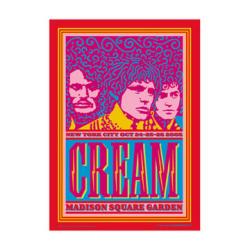 He hopes another Cream reunion would be less physically and mentally stressful. "I hadn't recovered properly yet, so I found it quite difficult," Bruce said. "Now I'm completely recovered so I would enjoy it more." printing is nearly indistinguishable from a major commercial release. information about these services check out SellMusicDirect.Com and BuyMusicDirect.Com. Rhino Handmade will celebrate the 60th anniversary of Atlantic Records, one of the most influential independent music companies of all time, with a trio of limited- edition boxed sets honoring genres championed by the label. The series begins June 12 with the release of Atlantic Blues (1949-1970). The next title in the series, Atlantic Soul (1959-1975), is due in August, with the third installment, Atlantic Vocal Groups (1951-1963), expected later in the fall. For each, Rhino Handmade will limit production to 3,000 individually numbered boxed sets. All three will be presented in a vintage-looking 12� x 12� box that includes a booklet filled with extensive liner notes and rare photos. 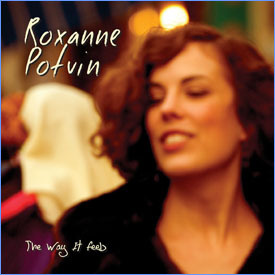 ATLANTIC BLUES will be available June 12 exclusively from www.rhinohandmade.com for a list price of $79.98. In celebration of its 20th anniversary, the 2007 Safeway Waterfront Blues Festival has expanded its schedule of Delta Music Experience (DME) blues cruises. Blues fans have a chance to enjoy NINE DME Blues Cruises: five evening and four afternoon cruises. 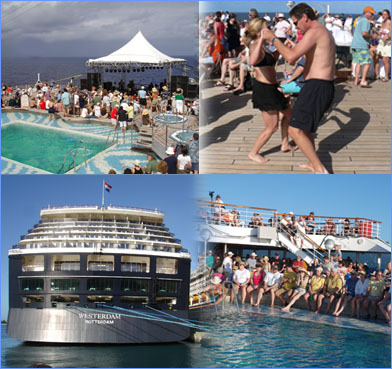 DME Blues Cruise tickets are highly popular and sell out quickly. Hear festival headliners such as Marcia Ball, Pinetop Perkins, Lurrie Bell, Savoy Brown, Charmaine Neville, Brian Auger, The Dirty Dozen Brass Band, Tab Benoit and more on the intimate stages of the three decks of the Portland Spirit as it leisurely cruises the Willamette River. To kick the festival�s 20th anniversary into high gear, the festival will offer a special pre-festival blues cruise, Tuesday, July 3. Evening cruises are for those 21 and older. Evening cruises board at 10:15 p.m. and return to dock at 1:15 A.M. Tickets purchased in advance are $25 plus a convenience fee. Tickets (if still available) are $30 on site. Afternoon cruises are open to all ages. Afternoon cruises board at 2 p.m. and return to dock at 4:30 p.m. Tickets purchased in advance are $15 for adults and $10 for children 12-years-old or younger. To purchase tickets, call TicketsWest at 503-224-8499 or 1-800-992-8499 or visit TicketsWest. 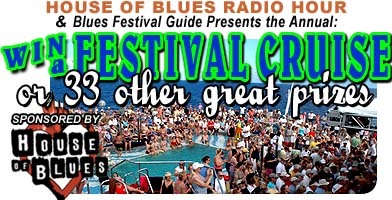 DME Blues Cruises are in addition to the festival�s stellar lineup of more than 100 performers on four stages at Tom McCall Waterfront Park on the banks of the Willamette River in downtown Portland July 4-8, 2007. The Sacramento Blues Society in partnership with Creative Cats and Contact Mortgage is hosting and presenting the "Northern California Blues Festival" featuring: Joe Louis Walker, Chris Cain, The Shane Dwight Blues Band, The Lara Price Band, Strictly For Kicks and The Steve Foster Band. This will be a benefit to support the "Through The Mind" program. A non-profit program providing free alternative mental health services to our war veterans. Great Food, Arts & Crafts, Kids Games & Face Painting, Beer & Wine and more! HOT FUN IN THE SUMMERTIME:Annual Blues Festival Summer Preview Show! Every summer, over 300 Blues Festivals are held across North America. Join Elwood Blues as he previews festivals nationwide, with music by Koko Taylor, John Hammond, Delbert McClinton, Marcia Ball and many more, this week on a Hot-Fun-In-The-Summertime House of Blues Radio Hour. College of Santa Fe, New Mexico, U.S.